After our convoy is stopped at a second checkpost — it is a ‘sensitive’ area, after all — our cameras are confiscated. This could have been a disaster, but we still have our smartphones on us. 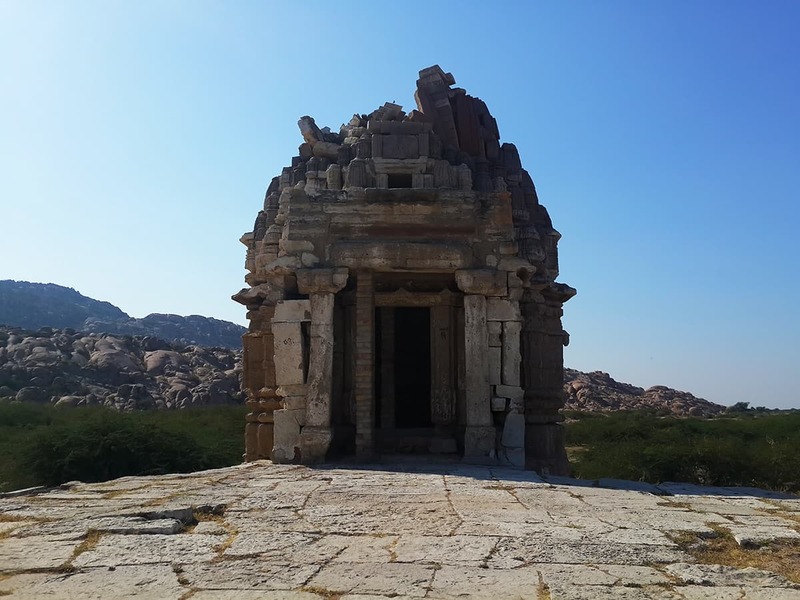 We can manage to take some photos once we reach our destination: the 16th century Jain Gori temple near the Pakistan-India border in Nagarparkar. Unlike other sacred sites in Thar, the stunning white temple has hardly any worshippers left in the country. Nearby is the village of Gori, but not many come this way. Local stories say the temple was built by a wealthy Hindu merchant and is dedicated to Lord Parshwanath, the 23rd Jain prophet. 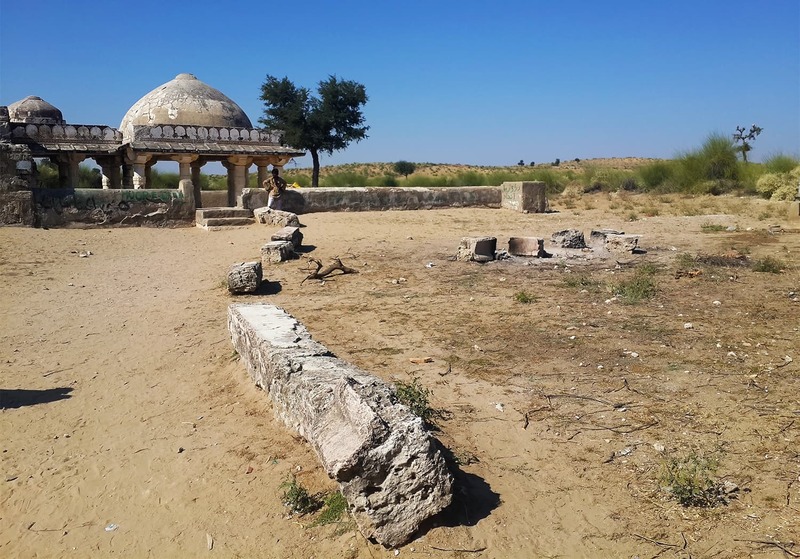 But with hardly any Jains left in the country, this major archaeological monument lies abandoned, neglected and shrouded in mystery. 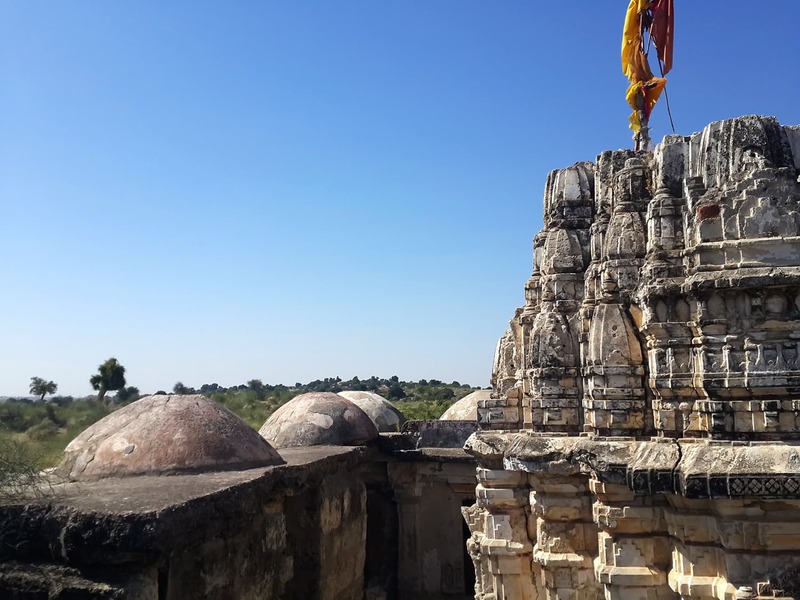 Immediately, the sight is unlike any other holy site you’ve seen: reminiscent of Jain architecture, the temple is not a smooth circle like other domed sanctuaries. 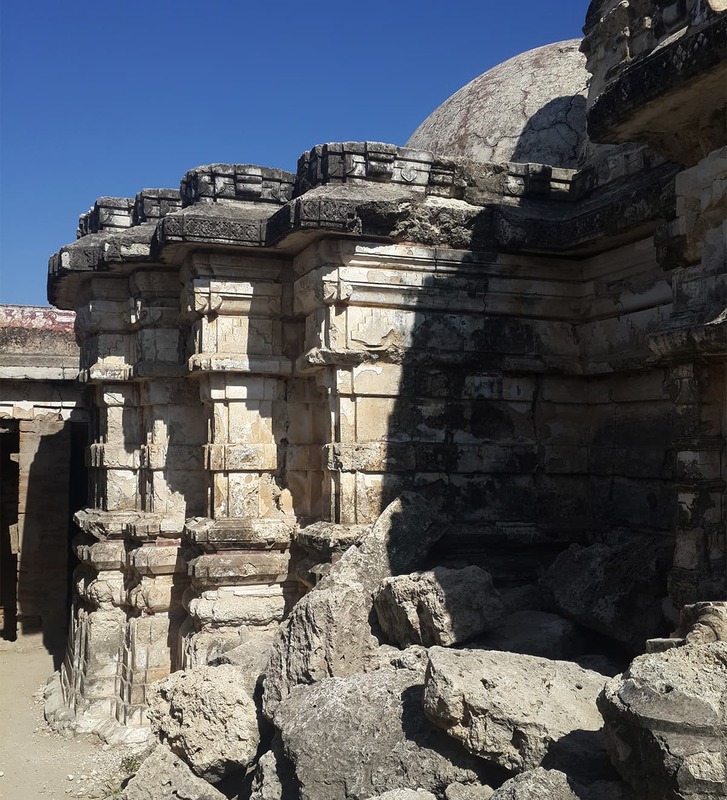 Its walls instead are geometric steps of marble — a particular style that shows up everywhere from the temple’s steps, to the frames carved inside some of its walls. Stepping inside, I am greeted by semi-darkness and the screeching sound that seems to belong to an animal. I could have been terrified, but I am surrounded by intricate art and fresco work on every marble wall, pillar and ceiling. The carvings shape their way up to a grand dome — a majestic sight even in little light. But as beautiful as the dome is, it elicits a second shriek, as I identify the source of the earlier sound: the ancient dome is covered with innumerable tiny bats clinging on to the ceiling. 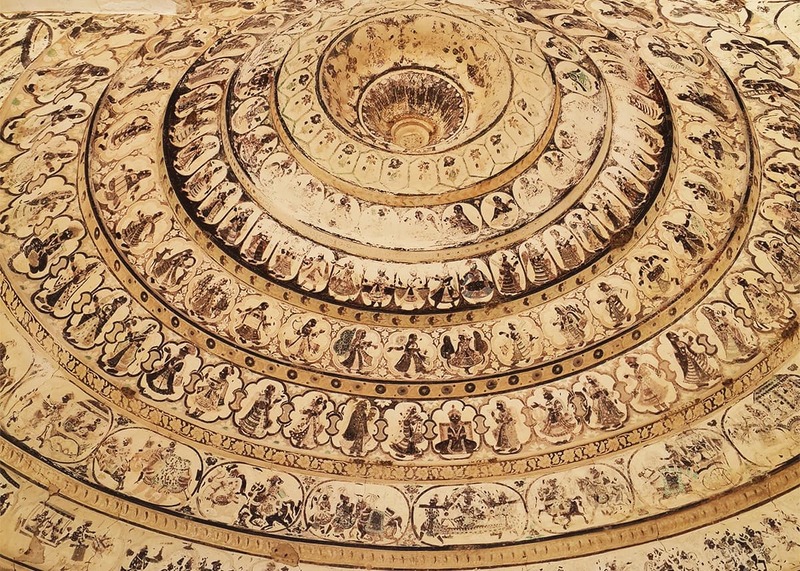 The frescoes adorning the temple’s domes are a series of arches, and flat blocked patterns depicting kings and princesses in their royal attire. The paintings’ colours and vibrancy suggests they are in their original state, possibly making them some of the oldest surviving frescoes in Pakistan that haven’t been ‘stolen’. Some parts of the temple do visibly lie in ruin: walls destroyed by an earthquake, and sections broken down by the British at some point during their occupation. None of these sections have been repaired. Mazing through the temple, I cross smaller rooms attached to the central dome, all without light. 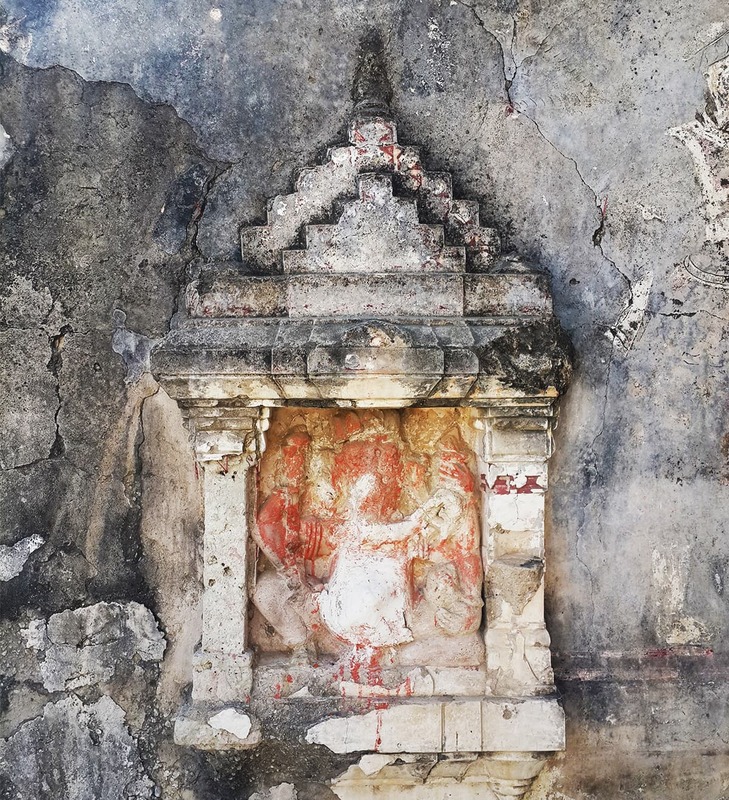 Aside from one picture — showing a god and a goddess — we find inside one of the cramped rooms, there is no idol, trinket or statue depicting the deity for which the temple was made. We could explore around and dig deeper, but another look at the dark ceiling full of bats and I am ready to leave the temple in seconds. 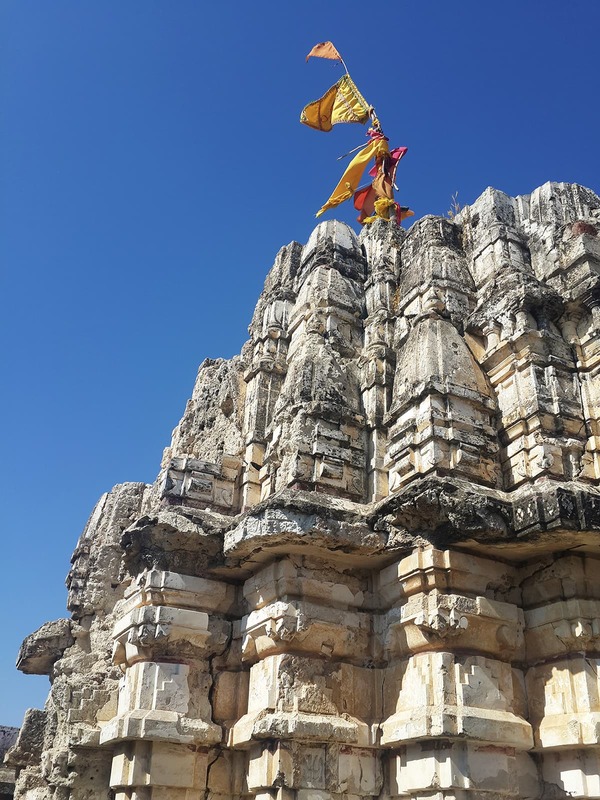 Besides, we are told that the Gori temple is not the only wonder the area has to offer. 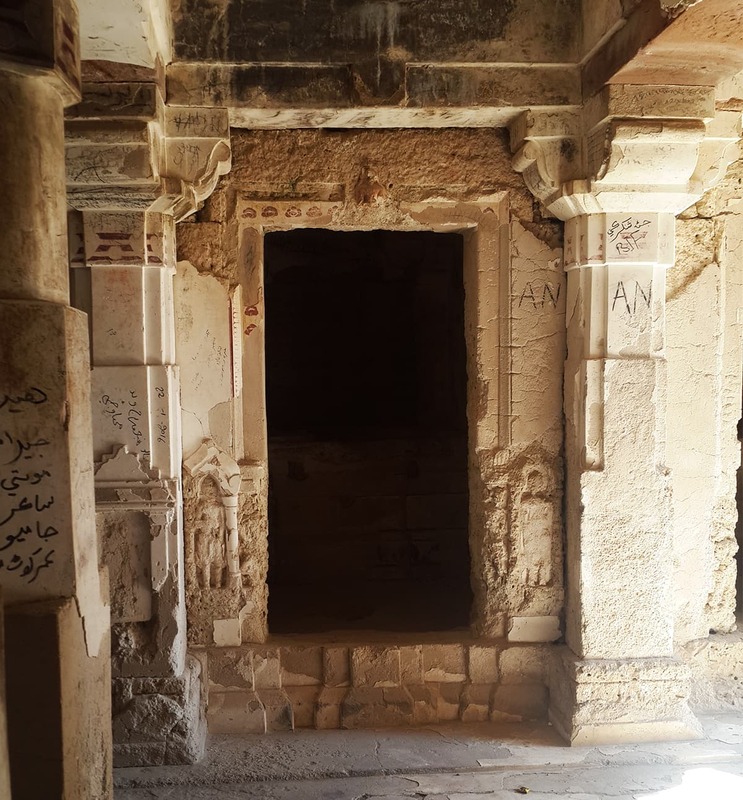 Further on, Marvi jo koonh (Marvi’s well) is another frequented spot, home to several contradictory stories and legends. 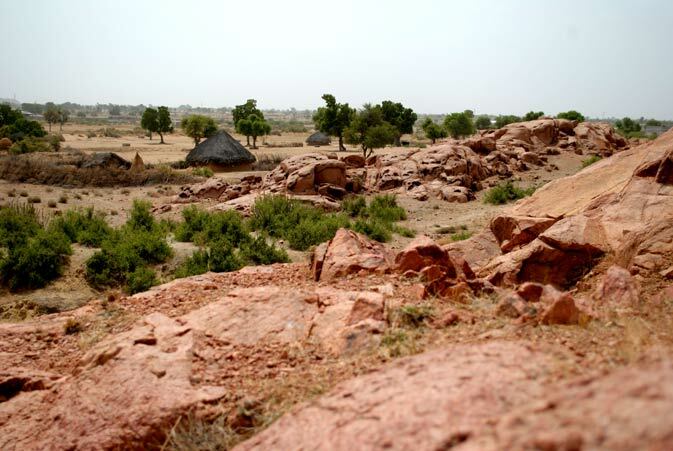 According to one, Marvi — a local Thari woman — was kidnapped by King Umer several thousands of years ago at the well’s spot. Because of the spot’s significance, it is said that the well never goes dry. There is certainly water in it; but it is also clear that the well has been restored and is kept maintained. 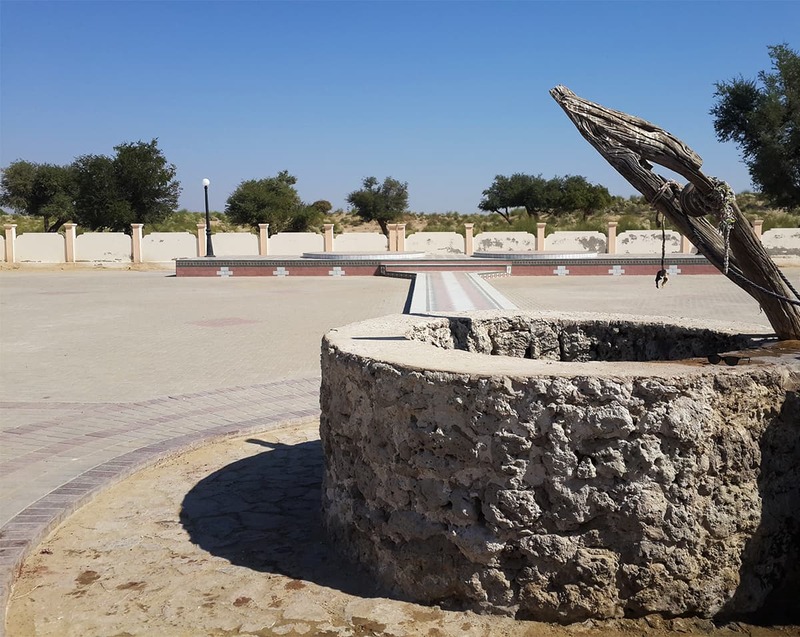 There may or may not be truth in the well’s magical powers, but a cultural centre that has cropped up beside the spot is determined to keep Marvi’s memory alive. Mystical sounds of live Thari music echo from the centre's rooms, which contain wax sculptures depicting the folktale. On one wall, a plaque praises Marvi’s refusal to give in to the king’s advances. 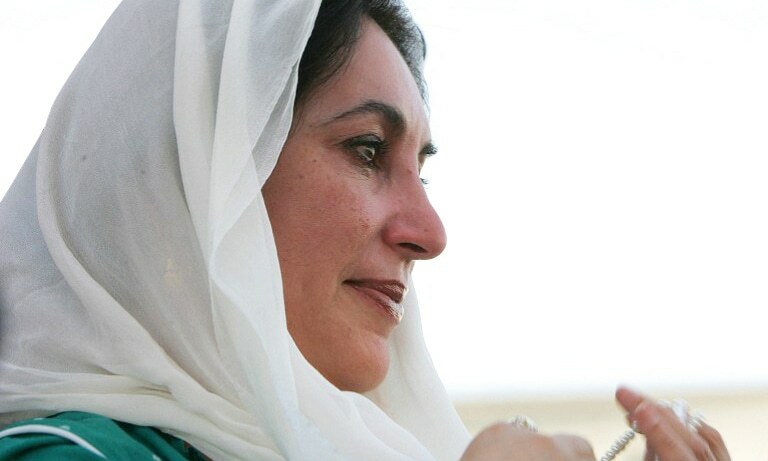 Apparently, villagers revere Marvi because she gave preference to her village, which she chose over a royal lifestyle. 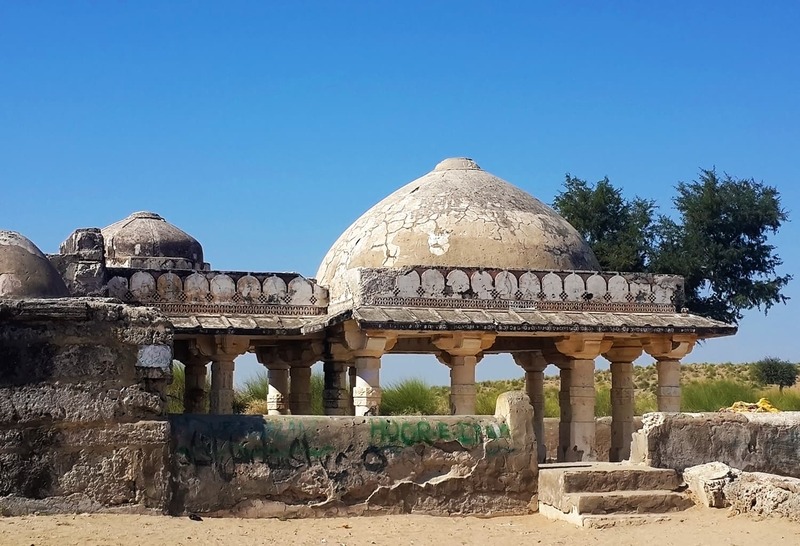 Further down the road, on the foot of the Karoonjhar Hills — also called granite hills — lies another domed marble structure, similar to the Jain temple. 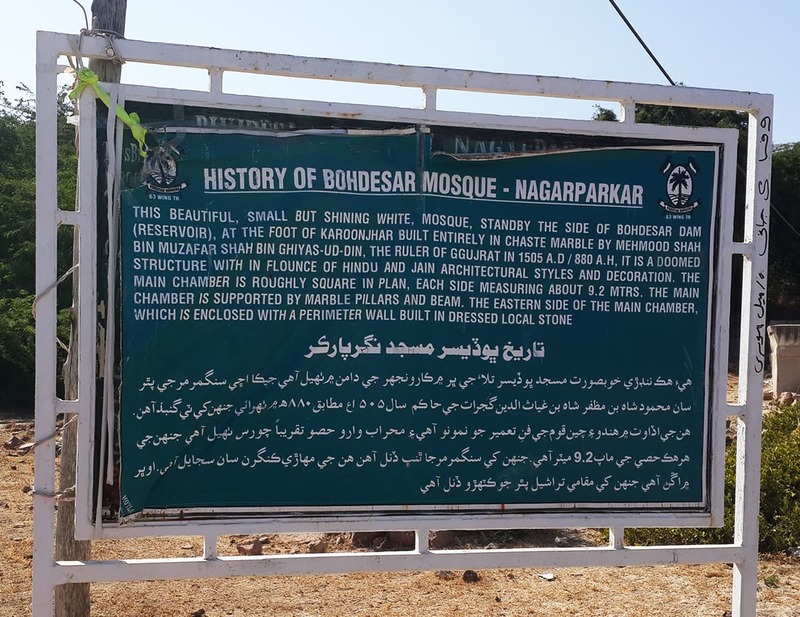 But this is a holy site for Muslims, not Jains: the Bhodisar Mosque. After climbing and crawling through some shrubs behind the mosque, we reach the Bhodisar Dam’s reservoir — a welcome sight of serene blue water. Local women wash their clothes by its banks, while a few cows graze about in the delightful green pastures here. 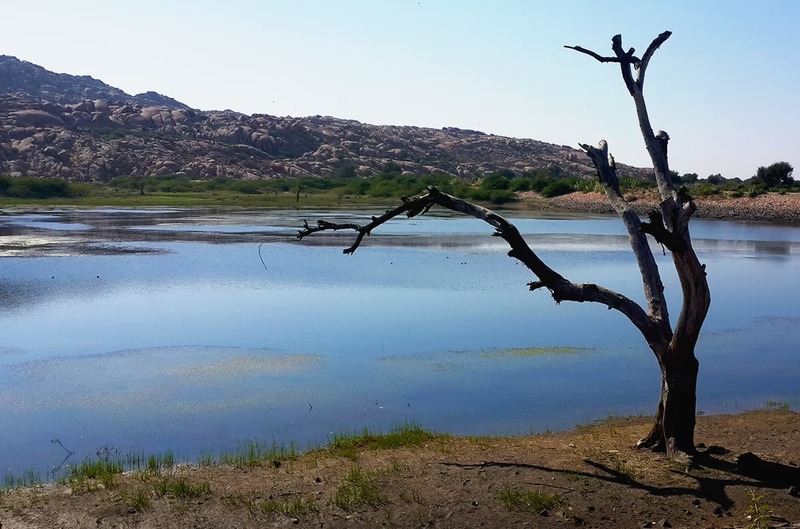 A walk along this reservoir takes us through a park towards a second, smaller Jain temple. Apparently, this second temple once held an idol inside which has long gone missing. There are no boundaries and no caretakers. Hardly any locals seem to visit the place either. We are told to stop by some other spots in the area, including a picturesque waterfall, but time restraints do not allow us to explore further, and we must return home. But every visit to Thar’s relics precedes another: I know I will visit again soon. "The enchanting desert has kept us folks going back to it again and again... such is Thar's charm." 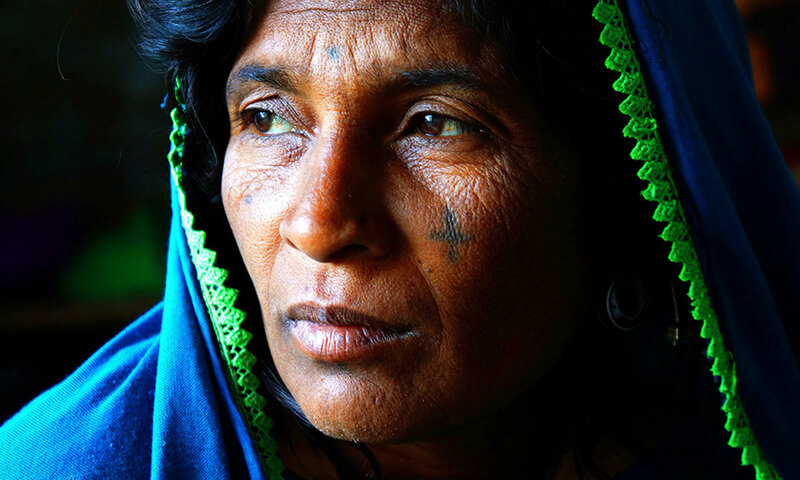 The author was on a trip to Tharparkar organised by Pakistan Council of Media Women (PCMW). 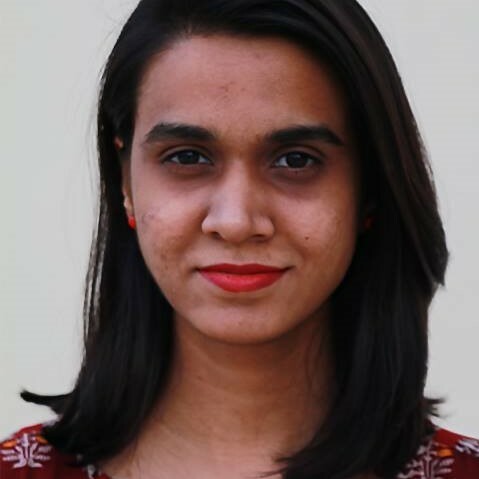 Ema Anis is a Dawn.com staffer. 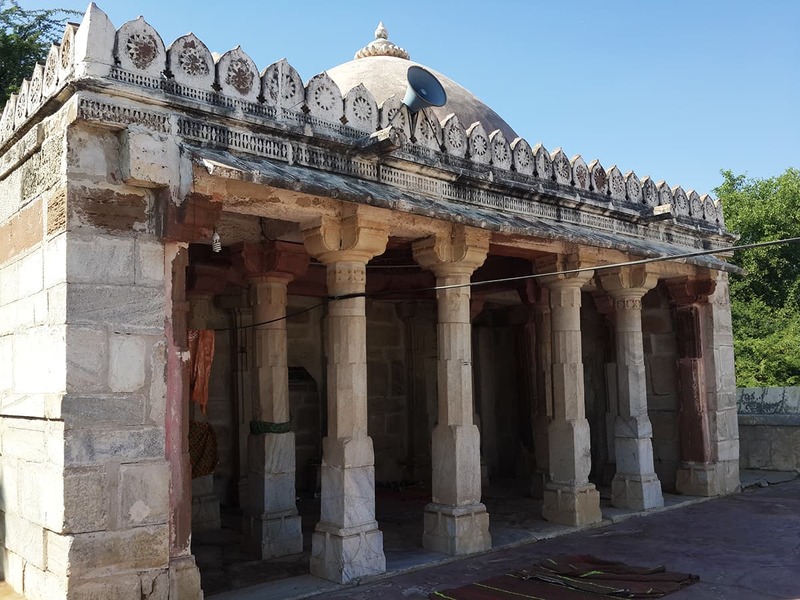 The king of Gujarat Mehmood Shah had this small mosque built. Very interesting. Hope to see all these structures in a good shape. Can we get to see some buildings/monuments in India which were owned by Muslims and see what state they are in, this is not to say, we are taking care of our cultural sight, im just curious. I know that in Punjab alot of work is being done to preserve ancient sites, but at a very slow scale. Its always good to compare how things are across the border. @Sarai Alamgir Just google "Indo Islamic architecture" and "Central Waqf Council". @Sarai Alamgir Please visit TAJMAHAL, Lal Qila, and many more sites which are in good shape. Pakistan had a thriving local Jain community in Sindh and Punjab, before partition. They left after partition, while few remained seem to have assimilated in local Hindu community. Though remote, would be keen to know if any Jains are still in Pakistan. The neglect of religious sites establishes disrespect of fellow humans for the faith of those who once lived the same land. Nice but show these structures when restored (if ever). Thank You DAWN for enabling us to get acquainted with Thar heritage.I believe most of Sindhi speaking people have not been to these sites/sights.Photographs & rendition /write up is superb. 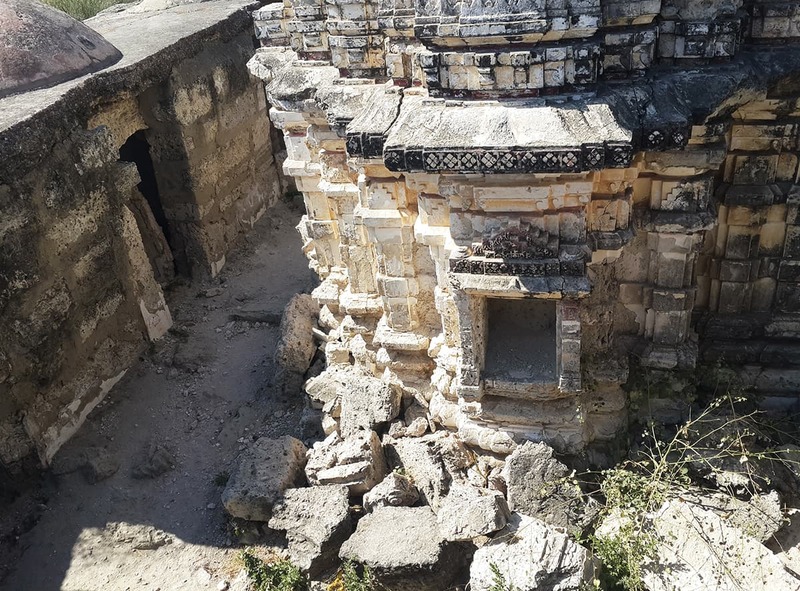 Very sad to see that a 16th Century temple is left in disrepair by Pakistani authorities. Contrary to Pakistan, older structures in India are preserved. 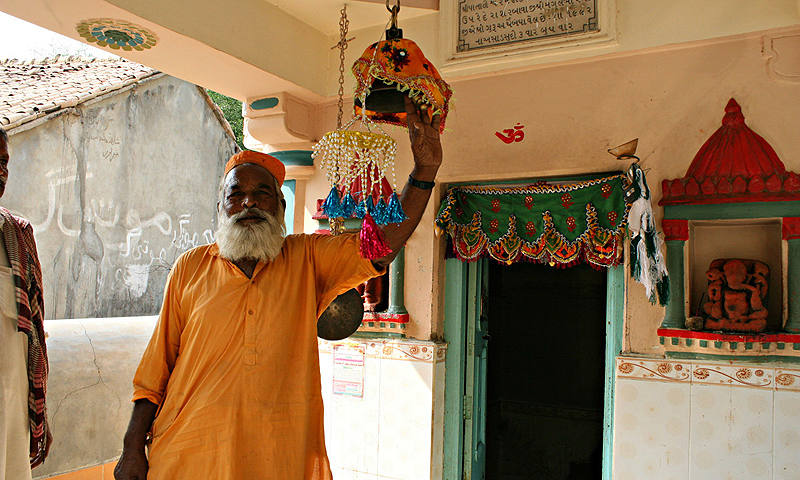 India of course has many thousands of old temples/mosques/gurudwaras that are still in use and preserved. These places needs lots of intentions of government to preserve memories. Beautiful article. Thanks for sharing your experience. The pics are really nice. There is a lot to treasure of our history and culture. Please keep sharing. @Sarai Alamgir the archaeological survey of India really does not distinguish on basis of religion... Taj mahal is an example of Muslim Architecture and pride of India!!! @Sarai Alamgir do visit india and see how nicely we have maintained all islamic monuments and mughal icons...i am jain and feel so sorry about state of our religious places in pakistan. come to ahmedabad and see how city built by ahmad shah is grown up and maintained by we all. Great material to know about and Indeed Dawn is a better newspaper than any Indian newspaper. I had gone to Kadhan(Sind Pakistan) but there was no check post.But to my knowledge there is a border to India.you may enlighten me about the border villages. As a jain myself, thank you dawn for these pics. The state of such a old and marvelous temple is sad! @Sarai Alamgir Every thing is preserved and in a very good state but I am pained to see the condition of Gurudwara buildings in villages of East Panjab. There are so many neglected historical sites in both India and Pakistan. Sad. @Sarai Alamgir In India, the Muslim population is high and comparitively there is lot more freedom of religion and very less conversions from Islam to any other. So infact many many more new mosques built every year. @Sarai Alamgir dont worry dear. In India all these buildings are maintained by Govt, irrespective of cast creed or religion. You mentioned that your photography equipment was confiscated and you had cell phones. These pictures do not look like the cell phone material unless you had a SLR camera attached to your cell phone. 16th Century temple. Such a Master piece. We had taught the world what architecture is when US was not even discovered by Columbus..